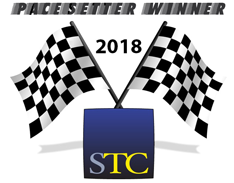 On September 30th, our own Carolyn Klinger will be presenting our success story about the chapter merge to a group of other STC chapter presidents and leaders. 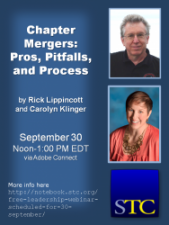 The event will be a free webinar featuring Carolyn and Rick Lippincott as they will explain the process for merging STC chapters. 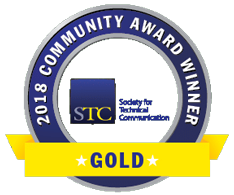 Find out more on STC's Notebook blog and then plan to join us for the free webinar.